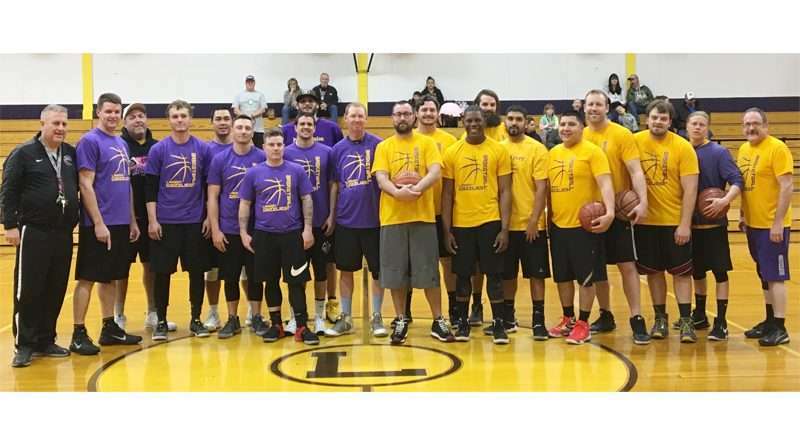 The 2018 Lassen High School boys’ basketball alumni game was a grand success for participants and fans alike. 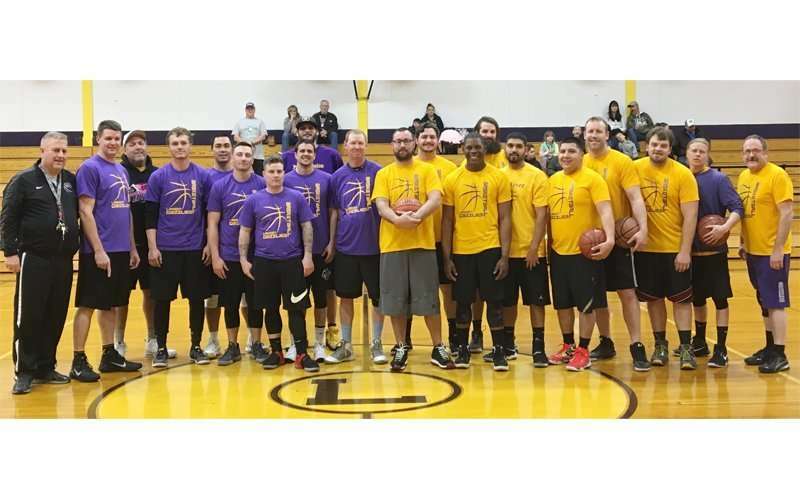 The fundraising event was held prior to the annual Battle of the Badge basketball game in which employees at High Desert State Prison and California Correctional Center faced off on the court. Both events were held Saturday, Jan. 20. 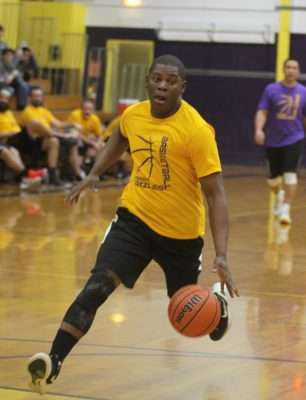 Between attendance at each game, raffle ticket sales and food sales, the 2017-2018 boys’ basketball team raised $5,800. The alumni were divided into two teams based on the year he graduated. Those who graduated in the spring of an even year played for Gold Fever, and those who graduated in an odd year played on Purple Passion. With a final score of 87-64, Gold Fever stole the win and earned the alumni team trophy. Gold Fever was on top since the start with a 25-15 score in their favor at the end of the first quarter. 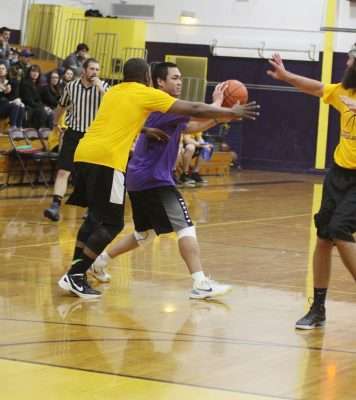 In quarter two, Purple Passion outscored Gold Fever 14-13, but the single point wasn’t enough to take the lead. Quarter three started with Gold in the lead 38-29 and ended with a score of 62-43 again in Gold Fever’s favor. 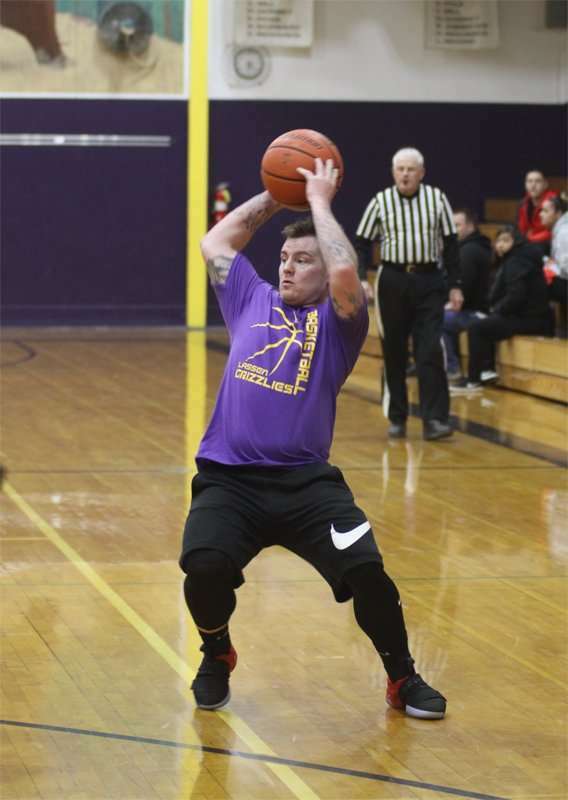 The final quarter saw some tired alumni on the court, but none of them ceased having fun. Purple Passion finished the game with 64 points after gaining 21 points in the last quarter, and Gold Fever finished the game with 87 points after raking in 25 points in the quarter. Gold Fever players included Jim Danodois, from the Class of 1984, Robbie Robles, from the Class of 1992, Shane Gillaspie, from the Class of 2000, Justin Sperle, from the Class of 2006, Derek Estes, Antrelle Bozeman, Ricardo Ortiz, Jon Ayers and Aaron Vial, all from the Class of 2008, Brandon Whitestone, from the Class of 2010 and Curtis Dixon, from the Class of 2012. Purple Passion players included Class of 1985’s Jake Larson, Class of 1987’s Mark Zaengle, Class of 1991’s David DelCarlo, Class of 1993’s Doug Satica, Class of 1999’s Alan Sobol, Class of 2003’s Brad Pon, Class of 2009’s Brian McGrath, Class of 2011’s Jordan Vial, Class of 2015’s Quinn Thompson and Class of 2017’s Chad Arnold.